• Two new types of proposals will be incorporated into the PAPPG with new required supporting documents and automated proposal compliance checks. o Grant Opportunities for Academic Liaison with Industry (GOALI): GOALI is a type of proposal that seeks to stimulate collaboration between academic research institutions and industry. The new GOALI automated compliance checks will require that at least one Co-Principal Investigator (PI) exists on the proposal and the “GOALI-Industrial PI Confirmation Letter” is uploaded at the time of proposal submission. All automated compliance checks applicable to Research proposals will apply to GOALI proposals. GOALI proposals were previously submitted via a program solicitation. o Research Advanced by Interdisciplinary Science and Engineering (RAISE): The RAISE proposal type supports bold, interdisciplinary projects. The new RAISE automated compliance checks will require that a “RAISE-Program Officer Concurrence Email” is uploaded at the time of proposal submission, the proposal award budget is less than or equal to $1 million, and the proposal duration is less than or equal to 5 years. All automated compliance checks applicable to Research proposals will apply to RAISE proposals. • The Facilitation Awards for Scientists and Engineers with Disabilities (FASED) type of proposal will be included on the FastLane dropdown menu. All automated compliance checks applicable to Research proposals will apply to FASED proposals. • Organizations that are unable to submit a proposal prior to a deadline due to a natural or anthropogenic disaster will be required to submit a new Single Copy Document, “Nature of Natural or Anthropogenic Event,” when attempting to submit a late proposal using the “Special Exception to the Deadline Date Policy” box on the NSF Cover Sheet. • The PAPPG (NSF 17-1) has been modified in its entirety, to remove all references to the Grant Proposal Guide (GPG) and Award & Administration Guide (AAG). The document will now be referred to solely as the NSF Proposal & Award Policies & Procedures Guide and is sequentially numbered from Chapter I-XII. All system references and links to the GPG and AAG will be updated to corresponding references and links in the PAPPG (NSF 17-1). • “International Travel” type of proposals will be renamed to “Travel” and will be expanded to include domestic and international travel. • In addition to the new compliance checks for the GOALI, RAISE, and FASED types of proposals, FastLane will run enhanced automated compliance checks across several proposal types and will generate errors or warnings when the submission or deadline validation compliance checks are not met. • Checks are run during “Check Proposal,” “Forward to SPO,” and “Submit Proposal.” The complete list of FastLane automated compliance checks effective January 30, 2017, is available here. The automated compliance checks also apply when a PFU is performed on a proposal. The compliance checks will be run on all sections of the proposal, regardless of which section was updated during the PFU. Proposers should be aware that if a proposal was previously submitted successfully, a PFU performed on the proposal will be prevented from submission if the proposal does not comply with the compliance checks in effect at the time. Grants.gov-submitted proposals are not compliance-checked by the FastLane system and therefore do not undergo the same set of automated compliance checks at submission as those submitted directly via FastLane. If NSF receives a proposal via Grants.gov that is not compliant, it will be returned without review. The Fall 2016 National Science Foundation (NSF) Grants Conference Webcast is now available on YouTube, and may be accessed here. For technical questions, please contact webcast@nccsite.com. For questions about the webcast content, please contact grants_conference@nsf.gov. Dr. Susan W. Sedwick has been appointed as Interim Assistant Vice President for Research Administration and Finance. Dr. Sedwick, a special consultant for Attain, LLC, has over 20 years of professional experience in research administration. Dr. Sedwick previously served as Associate Vice President for Research, and Director of the Office of Sponsored Projects at The University of Texas at Austin, where she was responsible for both pre- and post-award financial administration units. As Associate Vice President for Research, she was responsible for over $630 million in annual sponsored projects expenditures. Prior to her tenure at University of Texas at Austin, she served in a similar capacity at the University of Oklahoma, Norman, where she was responsible for research administration and compliance. Dr. Sedwick received her Ph.D. in Higher Education Administration from Texas A&M University, and is a Certified Research Administrator (CRA). "We are delighted to have Dr. Sedwick join us on an interim basis. Her professional experience in research administration at major research universities will allow us to maintain continuity as we conduct a national search for an Assistant Vice President for Research Administration and Finance," said Virginia C. Gregg, Vice President for Finance and Chief Financial Officer. Rensselaer has completed negotiations with the Office of Naval Research (ONR) to finalize the Fiscal Year 2017-2019 Facilities & Administrative (F&A) rate. ONR has set extended the current F&A rates for the next three years, therefore the On-Campus F&A rate will remain at 62% and the new rate agreement will go into effect July 1, 2016. A copy of the executed agreement will be available on the RAF website on 7/1/16. In support of a strong Export Control policy, Rensselaer has been developing a process whereby no new Funds (or supplements to existing Funds) will be authorized by Research Administration and Finance (RAF) until the Principal Investigator (PI) has successfully completed the CITI Basic Training Course for Export Control Compliance. NIH has announced a dramatically simplified website, and provides two short but very helpful videos to highlight useful features of the website as well as a new web-based guide to completing NIH grant applications. Also, NIH published the following notice on January 26, 2016, updating the NIH GRA cap from $42,840 to $43,692 effective October 1, 2015. And, NIH has published the following notice updating the PI Salary cap from $183,300 to $185,100 effective January 10, 2016. 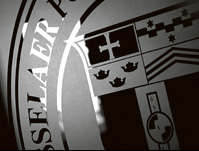 • New to Research at Rensselaer? which is also effective January 25, 2016. Research Administration and Finance, in cooperation with Institute portfolio leaders, has created a Roles and Responsibilities Matrix to enhance the research administration enterprise and provide a helpful tool to the campus community. On December 26, 2013, the Office of Management and Budget (OMB) issued Uniform Administrative Requirements, Cost Principles, and Audit Requirements (Uniform Guidance) for Federal Awards in the Federal Register. The Uniform Guidance streamlines and supersedes guidance that was previously contained in eight different OMB Circulars. Included in the new guidance are definitions, uniform administrative requirements (both pre- and post-award), cost principles, procurement standards and audit requirements. From the Institute’s perspective, the Uniform Guidance will supersede OMB Circulars A-110, A-21, and A-133. These new guidelines will be effective with awards issued after December 26, 2014. Rensselaer has decided to incorporate the new Uniform Guidance provisions on all awards with spending authority after December 26, 2014. This includes: new awards, current awards with balances remaining, and current awards expecting incremental funding. Adherence to the procurement standards is delayed until July 1, 2016 and the Audit requirements will be effective July 1, 2015. As permitted by OMB, Rensselaer will adhere to the Procurement provisions stipulated in A-21/A-110 until July 1, 2016. Research Administration and Finance (RAF) is committed to its mission of providing excellence in service and administration for the proposal and award activities of approved sponsored grants, contracts and other agreements on behalf of the Institute. Furthermore, in order to ensure timely submission of proposals, to effectively manage workload within RAF, to produce a thorough review of submissions, and to address the increasing number of “last minute” proposal submission over the last several months, the requirements linked below are being established and will be effective June 1, 2014. Rensselaer has completed negotiations with the Office of Naval Research (ONR) for the Fiscal Year 2016 Final Fringe Benefit rate. ONR has set the final fringe rate at 38.7% for Fiscal Year 2016. The final On-Campus F&A rate remains at 62%. NIH has published the following notices updating the PI Salary cap from $181,500 to $183,300 and the graduate student compensation cap from $42,000 to $42,840. "Effective immediately, the NIH and AHRQ will accept a new (A0) application following an unsuccessful resubmission (A1) application. The subsequent new application need not demonstrate substantial changes in scientific direction compared to previously reviewed submissions, and must not contain an introduction to respond to the critiques from the previous review." which is also effective December 26, 2014. Rensselaer has completed negotiations with the Office of Naval Research (ONR) for the Fiscal Year 2015 provisional Fringe Benefit rate. ONR has set the provisional fringe rate at 34% for Fiscal Year 2015. The On-Campus F&A rate remains at 62%. Please note that as provisional rates they are subject to change pending audit and finalization by ONR. NIH has published the following notices updating the PI Salary cap from $179,700 to $181,500 and the graduate student compensation cap from $39,264 to $42,000. which will be effective for proposals received on or after January 14, 2013. All proposals forwarded to Research Administration and Finance (RA&F) for submission to NSF must follow the guidelines contained in the Grant Proposal Guide (GPG) section of the manual. It is important that all proposals conform to the instructions provided in the GPG as NSF may return without review, proposals that are not consistent with these instructions. The only exceptions to deviate from standard proposal preparation guidelines are specific requirements in an NSF program solicitation or written approval by the appropriate NSF official. Prior to submitting a proposal to NSF, please thoroughly review the GPG and if you have any questions consult your NSF program manager.